Click Promo Gifts prioritises service above all else, which is why every single client, large or small, is supported by a one-to-one account manager. Our account managers work to ensure that your every requirement is met, if not exceeded.When we redesigned our website, we looked around for inspiration from other sites – competitors and non-competitors alike. Some promotional gifts sites offer online ordering and shop baskets, so you can literally order everything online all by yourself. We deliberately chose not to implement this feature, as we felt that the value added by one-to-one account management far outweighs the apparent ease of online ordering. Specifically, our account managers can help you choose the right products for your specific requirements, can offer a range of great alternatives, and will ensure that the branding methods maximise your marketing message. 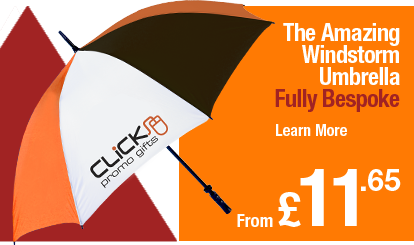 Our clients treat Click Promo Gifts like an extension of their marketing department – they just let us know what they are planning and leave us to do the rest. When it comes to printing each item is different. Some items, such as Ceramic Mugs, suit a silk screen print, whilst others, such as Metal Ballpens, may better suit Laser Engraving. We intend to take the confusion out of printing, to make sure that each time you work with Click Promo Gifts, the process is clear, concise and free from jargon. Whatever the product, you can be sure that the staff at Click Promo Gifts will be happy to advise on the best printing method wherever they can. We have a range of printing guides available for each branding technique, and where possible, we will make sure to show you examples of how your finished logo will look on the product of your choice. For any item, big or small, we can make sure your logo looks the best, and with Click Promo Gifts, you printing will have never looked better! Promotional gifts can make a world of difference in marketing your company, supporting sales and inspiring customer loyalty and repeat business. Use our products to increase your brand visibility, develop and strengthen your customer relation, convey information, support your sales staff and market your services. From high-end corporate giveaways such as crystal, glassware and executive pens, to exciting and quirky gifts like our special Rubik’s cube range, to budget but functional promotional pens and key rings, at Click Promo Gifts we have promotional gifts to suit any style, budget and company ethos.